Did you know that a cockroach infestation can happen even in clean places? It’s true. The dirtier the place is, the worse the infestation. However, even in clean places, you’ve got to watch out for this infamous pest and exterminate any infestations that are breaking out. Cockroaches are basically the brand image for dirt and decay. They can plague many a restaurant and tarnish their good image if even one is discovered. It doesn’t matter what room it’s found in; one cockroach means there could be millions nearby, and even one around is one too many. The lifespan of a cockroach is incredible. They even predate our dinosaur buddies as nature’s oldest creatures; the oldest cockroach in existence to date is 300 million years old! Even when they lose their head (we mean that literally), a cockroach can still get around. These are testaments to how hardy and tough these varmints are to eradicate. Like its ancient ancestors, the cockroaches of today feast on rot and decaying matter such as garbage, compost, rotting food, and damp wood. If you can’t tell already, the dark and the damp are the cockroach’s favourite places to nest. Like we said, they can and will nest even in a clean house if rot is nearby. Unfortunately, cockroaches are more common in Vancouver than you may realize. The German cockroach is one of BC’s most common types or roaches. It can be easily identified by its long antennae and a body length of 1.1 to 1.6 inches long. Bites can even happen if you’re not careful, leading to swelling, irritation, and even lesions. Cockroaches today can spread disease all too easily, and that’s why if you ever spot one, you need to get rid of them all. 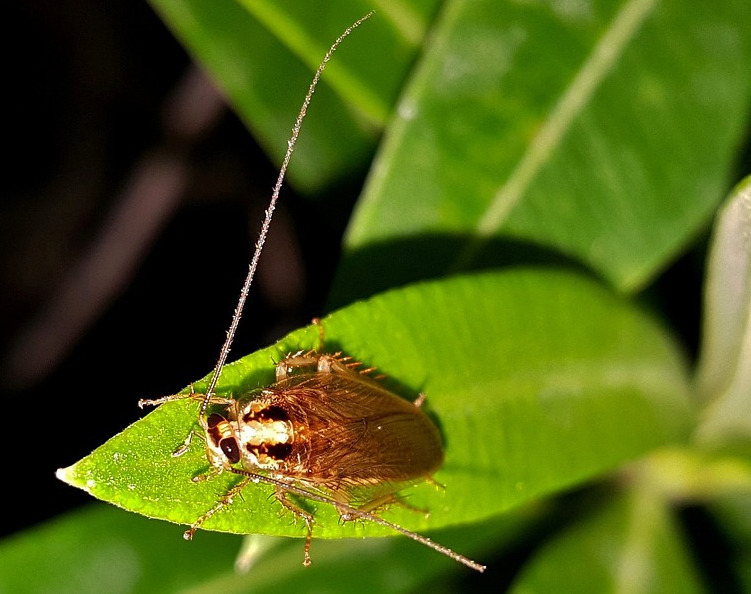 Call your local Pest Boss if you’ve identified the cockroach as your current pest problem. We’ll get you, varmints!